In 2018, the United Kingdom’s National Health Service (NHS) celebrates its 70th anniversary. With the creation of the NHS in 1948, universal health coverage was finally implemented in the United Kingdom, with the NHS replacing the previous patchy health coverage schemes that had left many people with limited access to health services. All residents of the United Kingdom were given the right to register with a general practitioner, who was responsible for both providing primary care services and organizing referrals for specialist care. Seventy years after the creation of the NHS, most medical services provided by the NHS remain free at the point of use. This includes consultations with doctors (both general practitioners and hospital specialists) and other health professionals, emergency treatment in accident and emergency departments, elective and urgent operations, screening services, and immunizations that are part of national programs (such as those for children and people at risk of influenza). We have though seen the introduction of some charges for health care – for example, for optical and dental services; and also (in England) for community prescriptions. We have also seen other changes in the NHS, such as responsibility for its management being passed to parliaments in Wales, Scotland and Northern Ireland. This has led to some differences in the provision of public-funded healthcare between the four countries of the United Kingdom but at its heart, the NHS remains very similar to the system that was implemented in 1948. The implementation of universal health coverage through the establishment of the NHS, although a major achievement, has not left the United Kingdom immune to the challenges facing health systems across the world. The United Kingdom, like other countries, has struggled with the challenge of maintaining the population’s access to a comprehensive range of high-quality health services while at the same time trying to limit public spending. In recent years, we have seen the NHS facing new challenges. The most pressing of these has been the very slow real-terms per capita increase in NHS spending since the global financial crisis in 2008. This has led to major pressures on all parts of the NHS including primary care, community, mental health, and hospital services. These pressures have led to increases in waiting times for both primary care and specialist services; and also a decline in public satisfaction with the NHS (which until the last few years, has always been very high). Some of the other challenges that the NHS faces include an increase in the number of older people in the population; and a rising prevalence of obesity which in turn leads to an increase in the number of people with condition such as type 2 diabetes, cancer and arthritis. Shortages of doctors and other health professionals is another important problem facing the NHS; which may be made worse by the impact of the United Kingdom’s departure from the European Union. Pressures on the NHS have been further compounded by problems with social care; particularly for frail, elderly people, which leads to difficulty discharging people from hospital back to their homes. The NHS has now reached a key point and cannot continue on its current course. Either the government will need to commit to substantially increase NHS spending; or we will need to look at scaling back the services that the NHS offers and making people make larger personal financial contributions to the cost of their healthcare. Neither of these options are politically palatable. The former option implies higher rates of taxation (perhaps through a ‘hypothecated’ tax); and the latter option will increase health inequalities and disproportionately affect the groups in our population with the highest healthcare needs, such as the elderly and the poor. The NHS has achieved much since it was first established in 1948. By providing universal health coverage, it has helped to improve the health of the population, increased life expectancy, and reduced health inequalities between the poorest and most affluent sections of our society. But its long-term future now looks uncertain. As a society, we will need to make some hard choices if we are to maintain universal health coverage and provide our population with a comprehensive range of health services through a publicly-funded National Health Service. 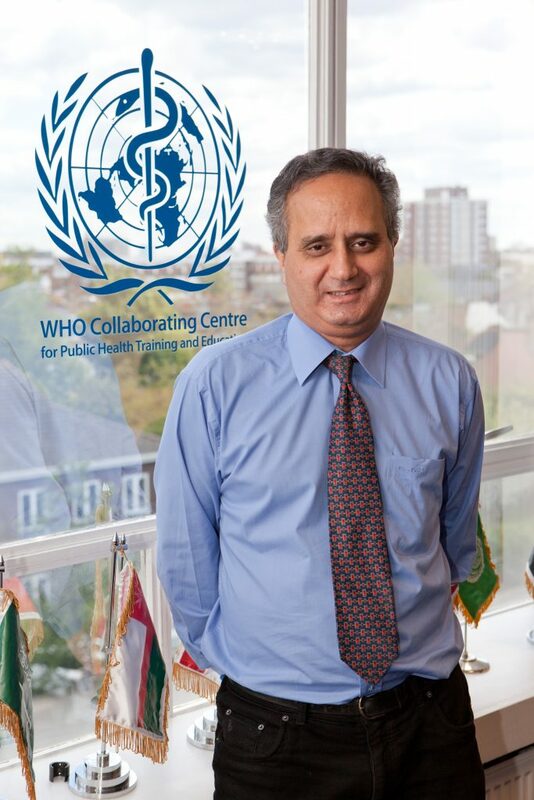 Azeem Majeed is Professor of Primary Care and Head of the Department of Primary Care and Public Health at Imperial’s School of Public Health.